Pilot Iroshizuku Shin-Ryoku Ink Review – Pens! Paper! Pencils! 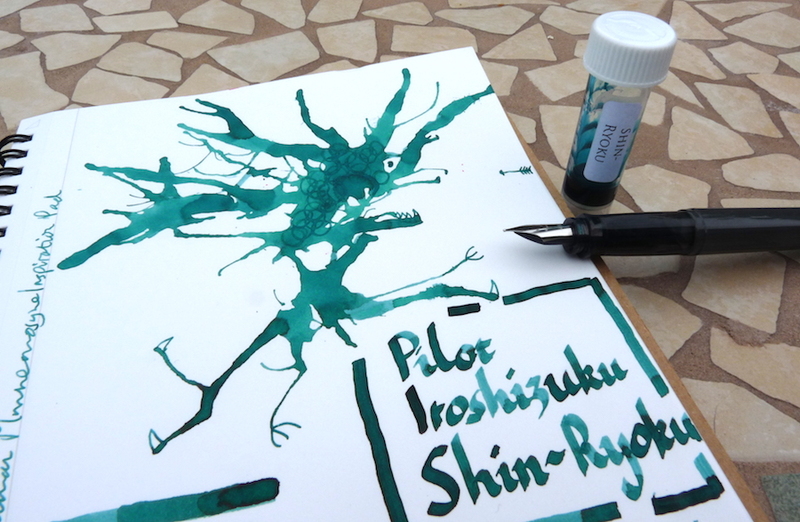 Pilot Iroshikuku Shin-Ryoku (Forest Green) is a lovely dark pine green. It dries quickly, flows well, and has some interesting though subtle shading. 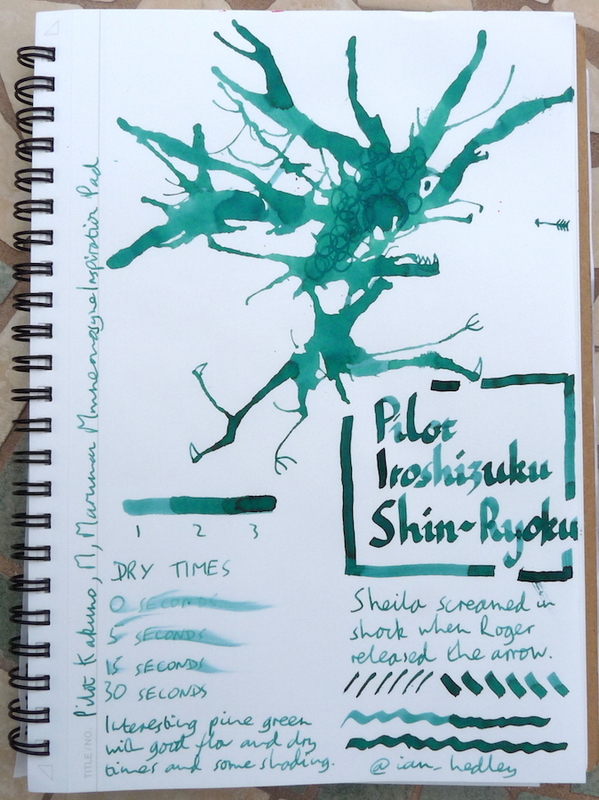 You can find some more reviews of Pilot Iroshizuku Shin-Ryoku on Pennaquod. I stumbled across the new service at Pure Pens and immediately ordered 4 samples of Iroshizuku inks. Nice way to try some inks that are too expensive to try a bottle at a time. Like you I do hope they can make it a viable service. Great review. May I ask what you are using to write with when you wrote “Pilot Iroshizuku Shin-Ryoku” in the bigsize? Thank you! It was a Mitchell Witch Pen. May I ask what size you used? I’m away at the moment and can’t remember! I’ll have a look when I get home next week.